Does speed kill? No, it’s inappropriate speed, or speed in the wrong hands that kills. Instead of driving by numbers we should learn to drive by context. BRAKE! would claim that freedom to exercise judgement based on context is a licence to drive carelessly. On the contrary, it’s a blueprint for driving with true care and attention. If pedestrians, especially children are near, let us proceed at walking pace. As a sensible trade-off, on the open road, let us, within reason, choose our own speed, again based on context and circumstances. On busy streets, 30 or even 20 is too fast, yet speed limits license speed at that limit, absolving drivers of guilt in the event of an “accident”. Would you want to be hit by a bus doing 20mph? Six year-old Ben Alston was. All too often, speed limits are irrelevant to the needs of the moment. It’s ludicrous to operate traffic lights all night, and ludicrous to operate speed cameras all night. Alec Dennis, 61, pleaded guilty to driving at 52 in a 30mph limit on his way to hospital in north Devon, to take his son who had stomach pains. Dennis was worried about leaving his disabled wife, but feared his son had appendicitis (it turned out to be kidney stones). He didn’t call an ambulance because of delays in the past. Dennis got 6 points, an £85 fine and a £15 victim surcharge. The time of day the speed camera caught him committing his “crime”? 4.20 a.m. On the face of it, his conviction sounds criminally inappropriate. Story here. Mark McArthur-Christie also rails against the pitiful nature of state policy on speed. No-one minds reasonable regulation. What makes us see red is regulation for its own sake, or to extort revenue. As the photos show, limits are nonsensical. Where is the spirit in all this regulation? Conspicuous by its absence. Instead of watching the speedometer and watching out for cameras, we should watch the road, surely the safest of safety principles. 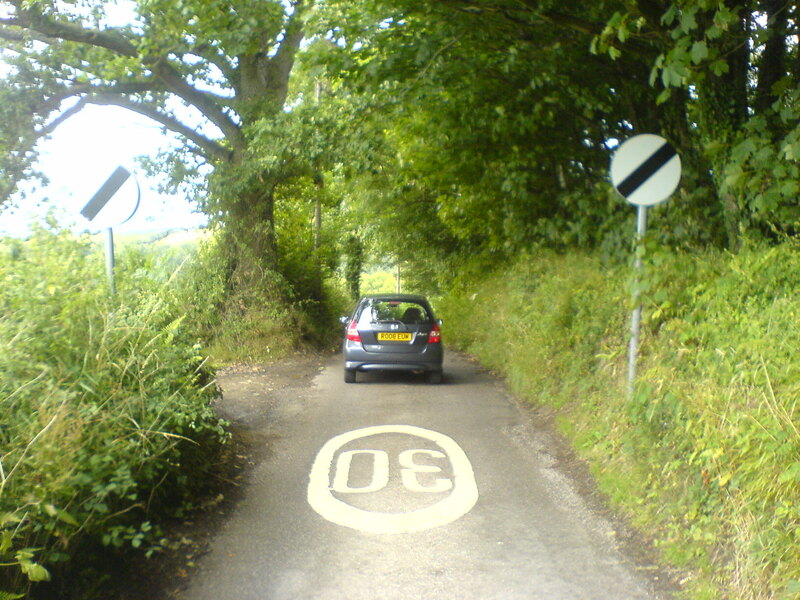 An advanced driving test should be phased in, to include hours of computer simulation, skid-pan experience, and practice based on a full appreciation of all the elements involved. 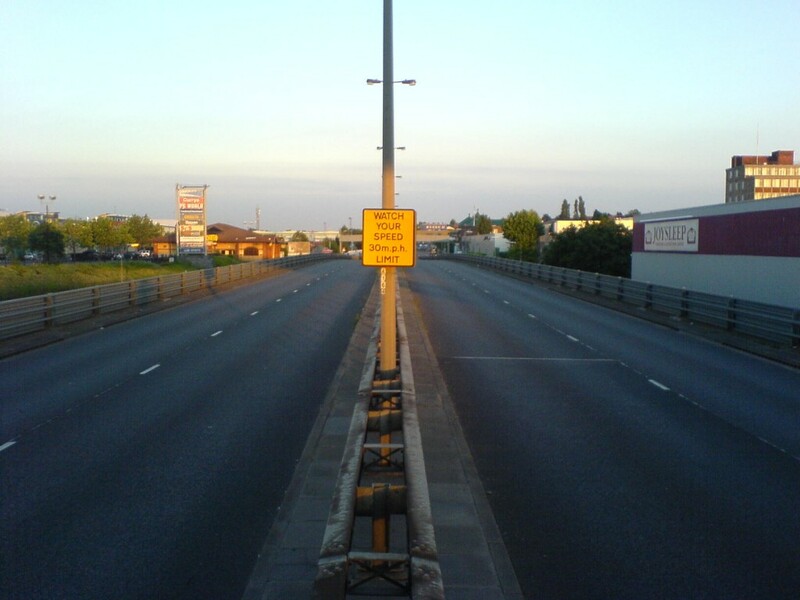 No limits on motorways would bring at least one advantage: lane courtesy and an end to middle lane-blocking, which would free up at least a third of motorway capacity. Life is about infinite variables. One-size-fits-all is a contradiction in terms. Far better to rewrite the rules, and let people act according to social context. Whether or not Chris Huhne tried to pass the buck, his saga reveals the contortions to which citizens can be driven to escape the tentacles of a system that values the letter of the law above the spirit. For all the negative publicity about “speeding” (a fabricated crime), you’d think exceeding the limit was a major factor in “accidents”, yet the DfT blames it for only 5% of accidents. See P.7 of this document, under the heading “Injudicious actions”. While Swindon has decommissioned its speed cameras, Oxfordshire has reactivated theirs. There’s a lively discussion about it here. Electronics engineer, Dave Finney, questions official policy on speed here and here. 29 May 2014 – press release from Brake! The Driver and Vehicle Standards Agency (DVSA) has clarified its written guidance for driving examiners on appropriate speed in built-up areas. The move comes in response to concerns raised by Brake, the road safety charity, alongside the GO 20 coalition, over whether driving test candidates could potentially be penalised for driving at 20mph in 30mph areas, even where the lower speed is more appropriate to the road environment. The GO 20 coalition calls for 20mph to become the default limit in cities, towns and villages, and appeals to drivers to slow down to 20mph or below around homes, schools and shops, even where the limit is still 30mph, to protect people on foot and bike. This reflects advice already given to examiners by the DVSA during training. All driving test candidates must demonstrate the ability to adapt their speed to prevailing road conditions, and drive at a speed that allows them to stop safely in the distance they can see to be clear. My comment: at last they are talking some sense, but why has it taken so long, why haven’t they made it clear before, and why don’t they make it clear now that a limit is not a target? Why do they impose 24-hr limits, and why, if they are introducing discretion at the low end, don’t they introduce flexibility at the other end? Good post by Mark McArthur-Christie here. 27 April 2015 Victoria Coren satirises speed policy here.